High security checks are designed and printed with security features the help to protect your business from fraud. 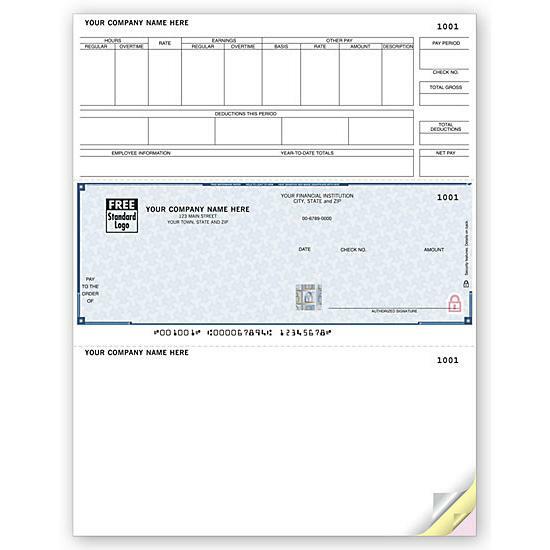 These laser checks are sometimes referred to as computer checks because they are printed by using your computer accounting software and a laser printer. 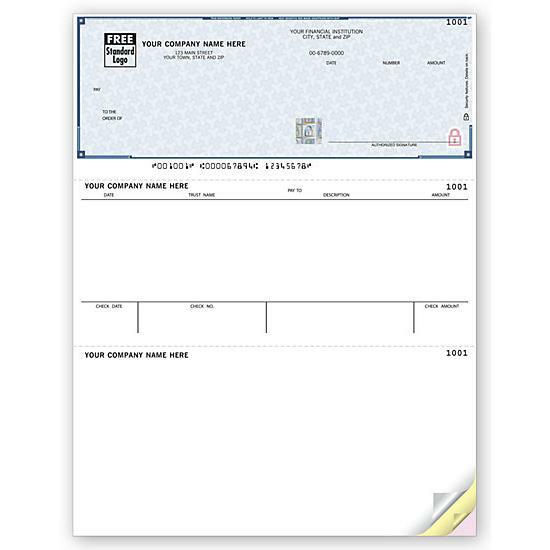 Quickbooks is one of the most popular and it uses checks designs that are compatible. 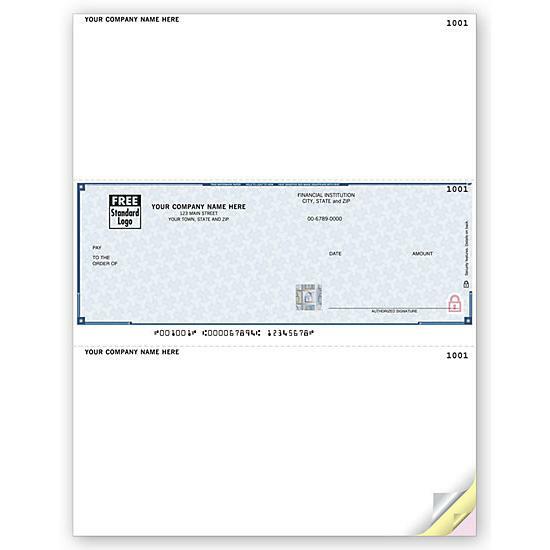 They are used mostly by small businesses to process payroll, accounts payable, expenses, or as multipurpose checks. This helps to ensure a seamless accounting system, keeping all your records in place and allow for easy access when needed. 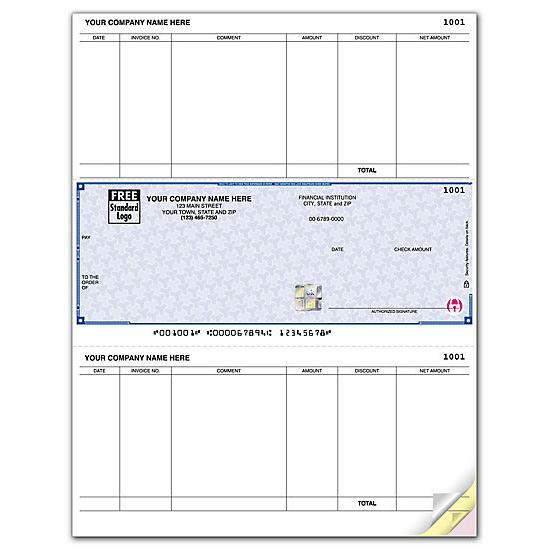 DesignsnPrint offers cheap business checks online that has standard security features like WARNING BOX, ORIGINAL DOCUMENT SCREEN, REMOTE DEPOSIT REMINDER or high-security features like ANTI-COPY TECHNOLOGY, FOIL HOLOGRAM, HIGH-SECURITY BACKGROUND COLORS, THERMOCHROMIC INK, CHEMICAL-WASH DETECTION AREA etc. You can personalize or custom print each with your logo and business information. 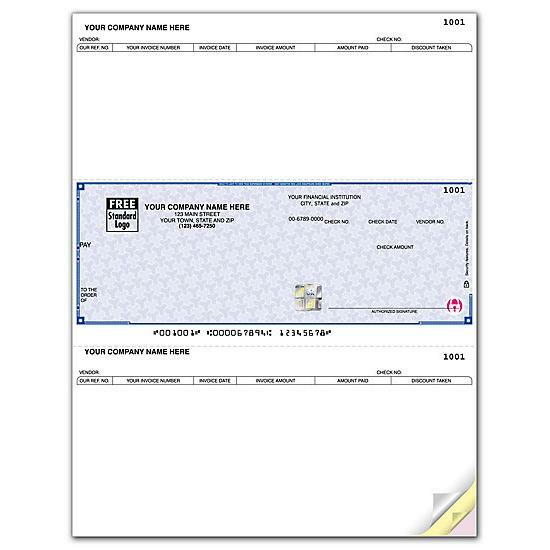 DesignsnPrint makes it easy to order high-security checks online for your software products. Checks are listed in categories for each compatible program. 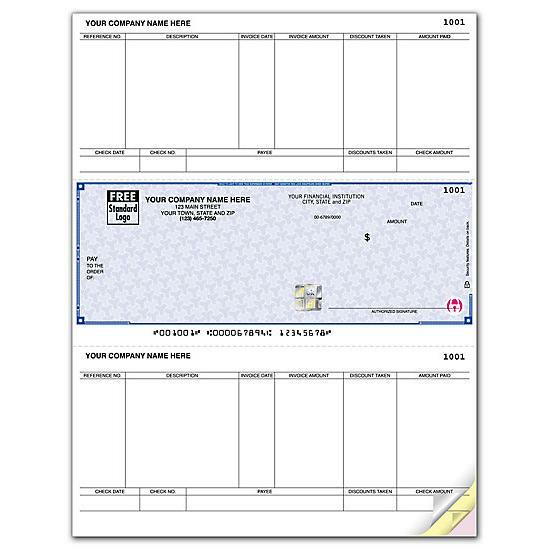 Place your order filling out the form asking for information for your business, the bank, starting check number, account number, routing number, etc. 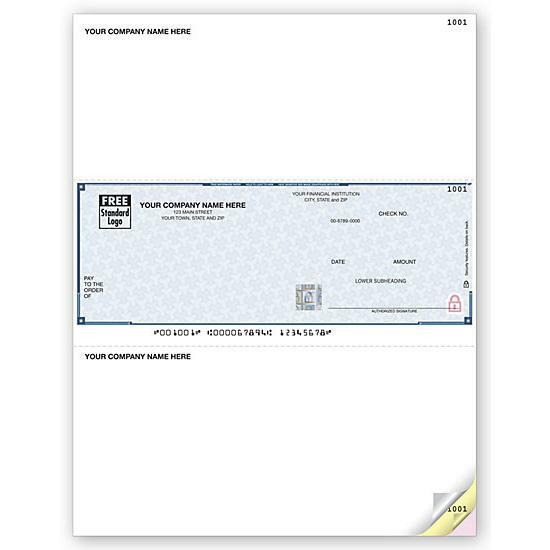 Another way to order checks online is to upload a copy of a sample check marked void. 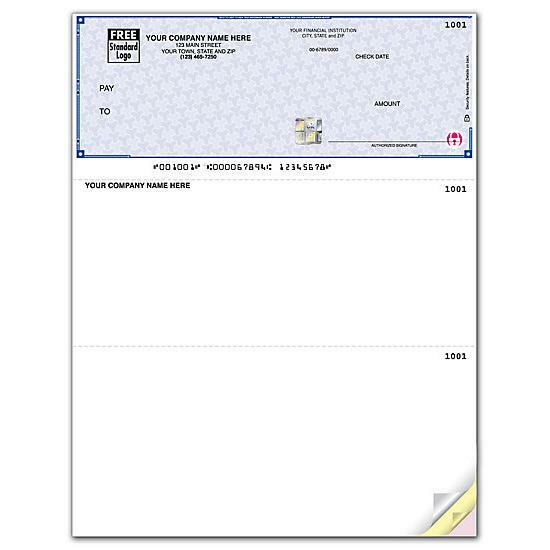 New checking account must include a MICR specification sheet from your bank. (not a deposit slip). Select from Herringbone design, in your choice of seven great colors. Blue, Gray, Green, Purple, tan or Yellow. The High-Security Checks are available in blue, gray, green, maroon or tan. 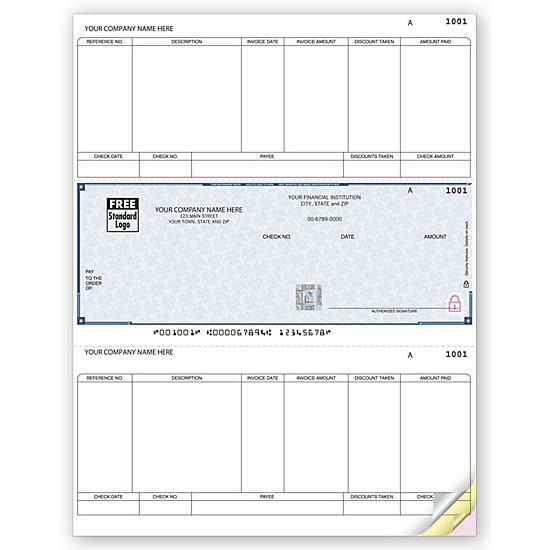 Checks include six areas of imprinting (shown in the image above) at no additional charge. Consecutive numbering is included in the MICR encoding. A second signature line or other wording in the signature area is available on most checks. Please specify the starting number. If a starting number is not provided, 1001 will be used. Choose a typestyle for the first line of your imprint. 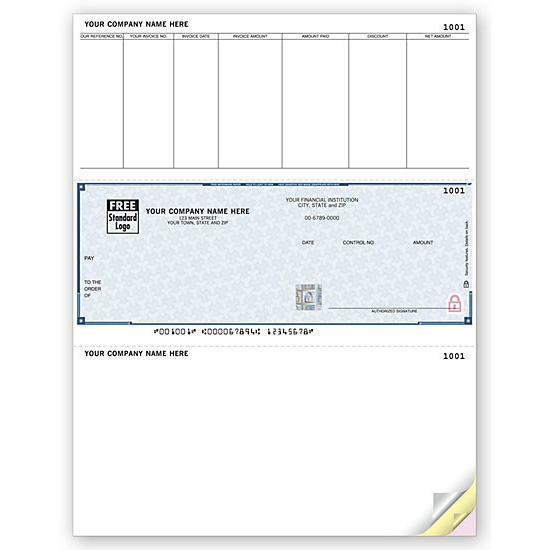 In what colors can I Print Checks? 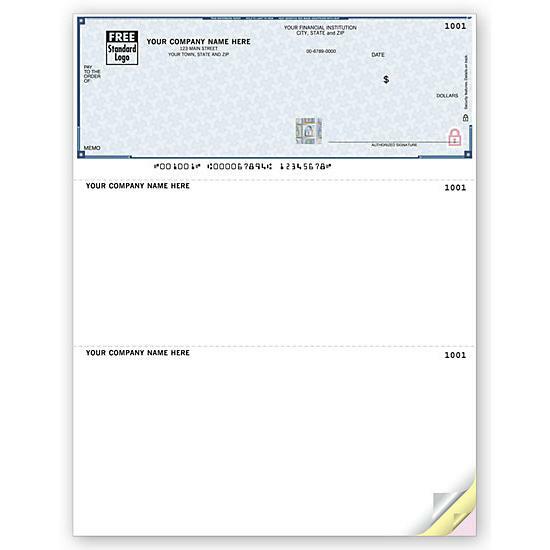 Standard Designs: These checks are manufactured in five designs, Blue Generic HSecurity, Green Generic, Gray Generic, Maroon Generic, & Tan Generic. 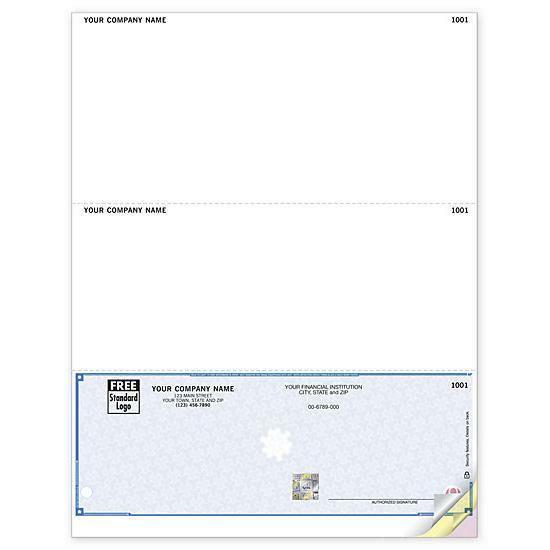 Save time and money by adding matching Companion Envelopes for a professional look. Customize with your logo, business name, and address. Enter the transaction information like the routing number, account number, and consecutive start number. Reverse start number option available. Enter text for the voucher and text above the signature line. 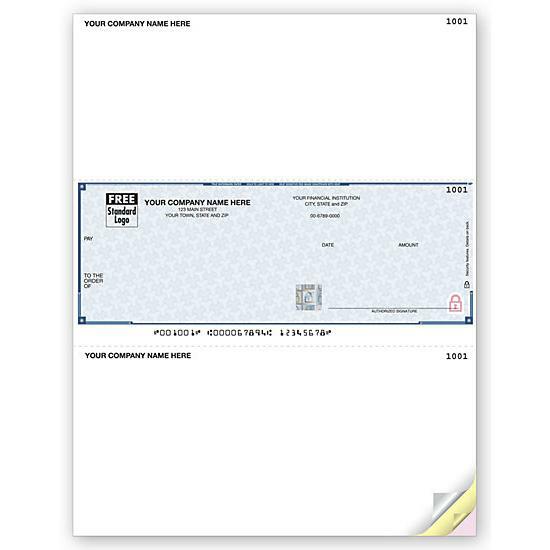 These checks can be printed from home or at the office.